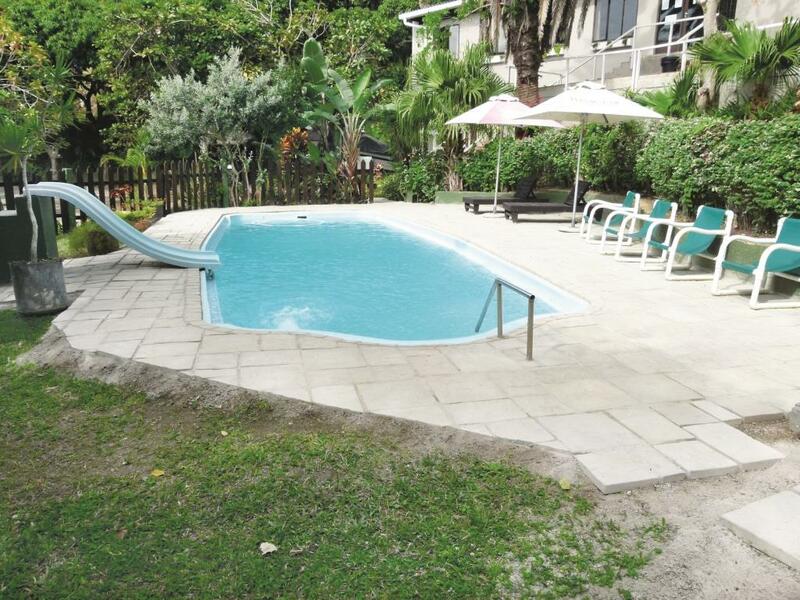 Located at Kelso valley on the KZN south coast, this resort is owned and run by Mike Scherius. I first met Mike a number of years ago when he ran the park with his dad, Bob. During 2002 they changed the name from Kelso Caravan Park to River Valley Resort. Mike became involved with a lot of clearing up, in sorting out the gardens and the buildings. He listened to his clients, implementing a lot of their suggestions to get the resort into the shape that caravanners and campers expect. Then Mike decided to return to Joburg to pursue his career, leaving his father to continue running the resort. Sadly, his father passed away in April 2012. This event turned Mike’s world upside-down, but in a positive way. He relinquished his career, and left his friends and family back in Gauteng to come and run the resort once more. He was very fortunate to have a loyal staff member, Sarie, (his manageress) on his side, to take control in the interim. She successfully managed the resort between April and September 2012, making sure that everything ran smoothly. Mike arrived in October 2012; and, since then, he and his team have dramatically upgraded the entire venue. 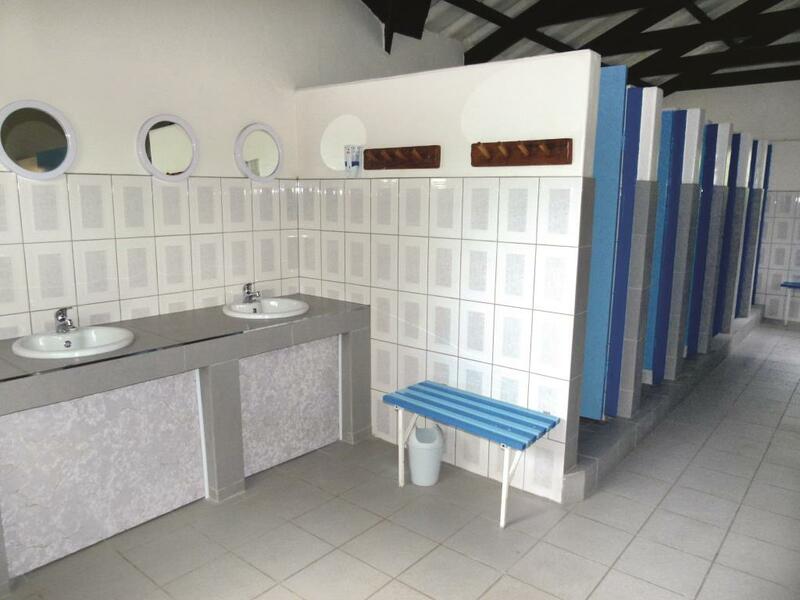 In January this year, they implemented a lot of new projects, including upgrading the ablutions and the scullery by removing all the tiles, and re-tiling the walls and floors of every room. The swimming pool area was paved with concrete and slate paving stones. The landing and stairs going up to the playroom of the main building was tiled in non-slip terracotta tiles. They’re on the final stretch of completing those projects, so, by December 2014, everything should be ready. All the buildings (the main building, chalets and the ablutions) were painted. The interiors of the chalets were upgraded with new beds, curtains, linen, cutlery and crockery. Last year, they continued upgrading the gardens – planting many different shrubs and flowers for everyone to enjoy. The old dilapidated wood rails were removed and new hand rails at the main building were installed. The playroom was upgraded by tiling it and making it look like an inviting place in which to have a bit of fun. 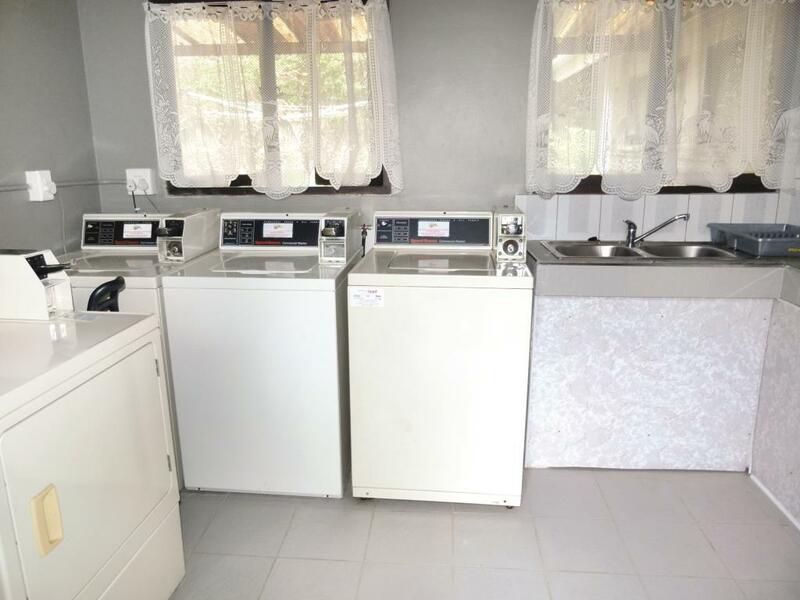 The park offers 25 well-shaded and grassed caravan / campsites, all with electrical points and with 12 water taps in close proximity; there are communal ablutions, men’s & ladies’, and laundry facilities with washing machines and tumble-dryers. 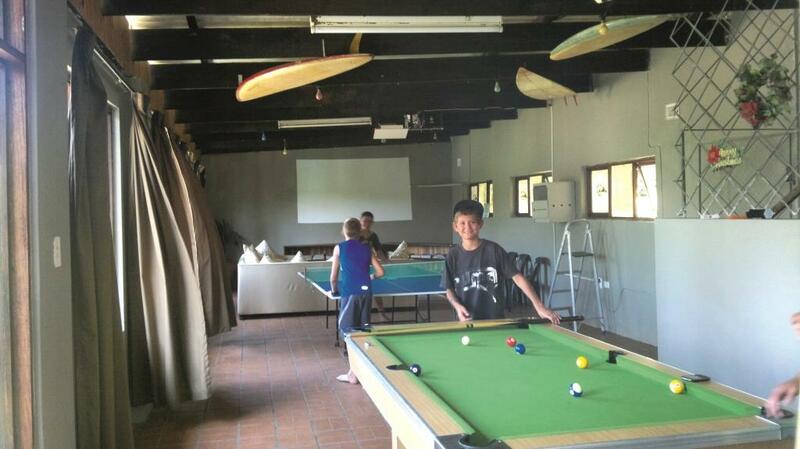 The games room has two pool tables, and one for tabletennis, and there is a lounge where you can sit and relax with a book from their small library. In the evenings, there are movies on the big screen for the younger ones to enjoy. The playground has a trampoline, swings and a jungle gym. 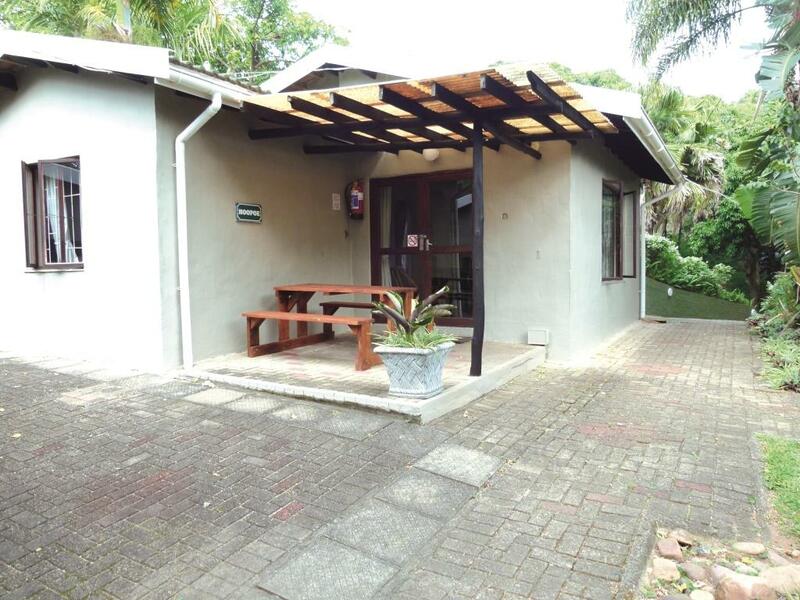 There is a lapa overlooking the playground, with braai facilities for everyone's use. Above the lapa there is a pool for everyone, and a small children’s slide for their enjoyment. In the centre of the camp are other communal braais for everyone to use. A bar is available for all residents, but only during the December holidays. There are five chalets to choose from, all selfcatering. They offer comfortable beds, including linen, but excluding towels and dish towels. 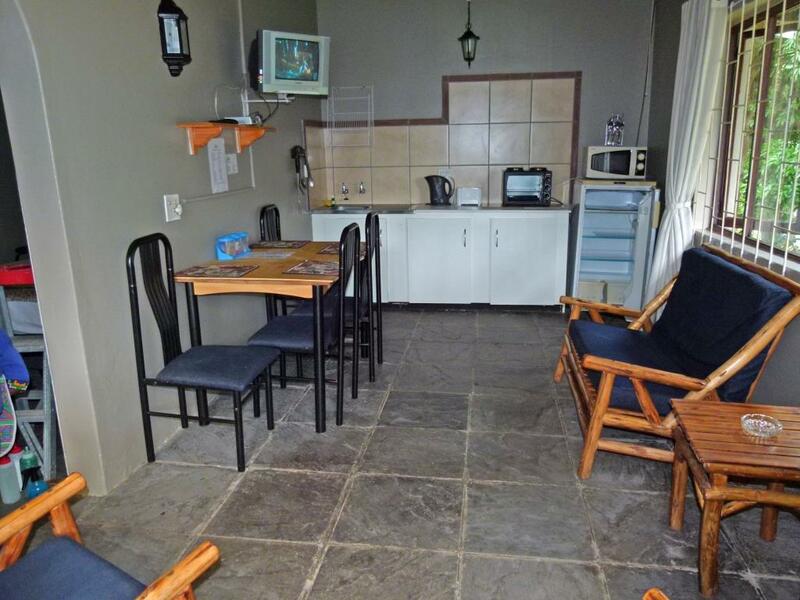 Each chalet has a private braai area, an outside table / bench, a colour TV with limited DStv (a hospitality package which includes movies, all sport channels and various other channels), a lounge suite, dining-room table, cutlery, crockery, microwave, stove, fridge, shower / toilet and basin. Each chalet sleeps a maximum of four people. The resort is protected by an electric fence covering the entire boundary, with an automated gate at the main entrance. Nobody can enter or leave the Resort without his or her own remote, or beach-gate key. This article and content is reserved by Caravan Publications under South African copyright law.